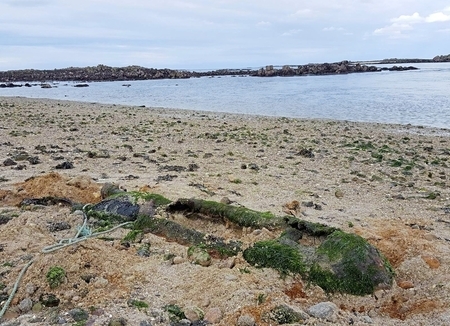 Herm, Guernsey Due to some abnormally strong tides, a British WWII torpedo was unearthed on a beach in Herm. The Guernsey Police bomb squad went out to the island to investigate, and were happy to find that the item did not contain explosives. The bomb technicians stated that had there been explosive inside, the torpedo would have been too dangerous to move. They would have had to blow the torpedo in place, creating further complications due to shrapnel and the local grey seal population.